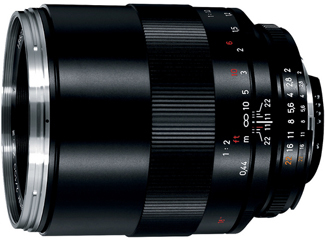 The Zeiss Makro-Planar T* 100mm f/2 ZF.2 for Nikon is compatible with both full frame and crop frame sensor Nikon cameras. There is no AF on this lens so it is suitable for videography or any other work that can't have lens motor sounds. Selectively focusing on this lens is smooth and accurate thanks to a floating element system inside an all-metal design. It is designed specifically for scientific, industrial, and documentation uses but is also a good choice for portraits and casual macro work.